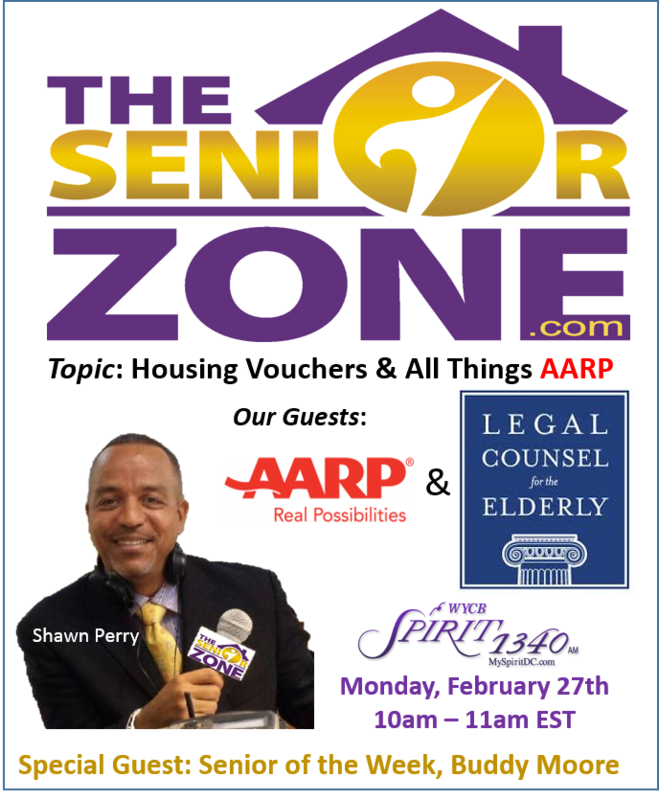 On February 27th, we heard from AARPs Chief Enterprise Strategy & Innovation Officer, Mr. Terry Bradwell and how AARP is discovering new solutions that helps people 50+ navigate and live their best lives. 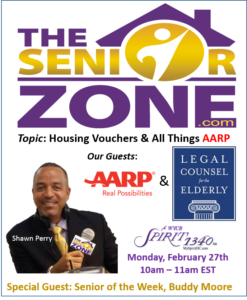 Special Guest: AARPs Legal Counsel for the Elderly discussed their newest program that saves people who have housing vouchers from eviction and homelessness. The program, called The Voucher Preservation Project, has been made possible by Sidley Austin Foundation and the accounting firm KPMG. We ended the show with our Senior Spotlight on Mr. Buddy Moore; a 79 year old senior from Washington, DC.